Remarkably flattering jeans fit like they were made just for you with slimming straight legs and loads of stretch. Plus NYDJ's exclusive Lift Tuck Technology and the patented Criss Cross Panel work together to lift, shape and flatten precisely where you need it, so you'll look a size smaller. 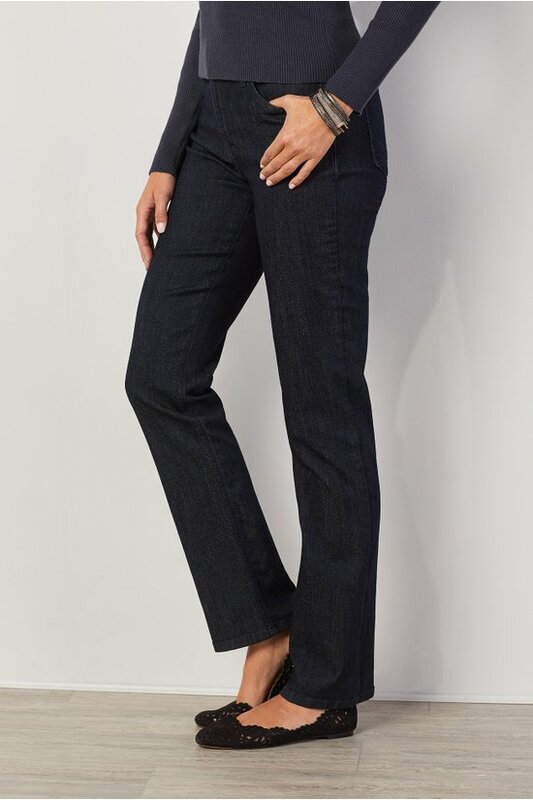 These all-occasion jeans feature classic 5-pocket jeans styling, zip fly and button closure and come in multiple colors for season-spanning chic. Misses 33" inseam. Sits at natural waist.